UBK Studios, LLC is an entertainment content creation company that develops and produces film, television and digital content based in Chicago, IL. Have an idea for a project? Contact us! Brian has spent the majority of his professional career in journalism and freelance videography but has found his greatest success in short form comedy. He and his fellow producers, Mitch Brinkman & Nathan Hennenfent, made their festival debut in 2015 with their short web series "Dirty Laundry", a one room, single camera narrative featuring the integral moments of a blossoming friendship. A DePaul University graduate and former Chicago Tribune video producer, Brian has trained in writing at the Annoyance and iO Theaters. During his tenure at the Tribune, Brian spearheaded several series, including the Theater Loop Showcase for theatre critic Chris Jones, which aimed at recreating and documenting the theater scene in Chicago. Brian received an Emerging Cinematographer award for his work on "Ludo", a short documentary showcased at the Cannes Film Festival, but aims at focusing his efforts on episodic and feature length comedy with his fellow producers. Mitch is a graduate of the Commerce school at DePaul University. He studied film and political science at DePaul as well as discovering the joys of improv comedy while attending classes at the world-renowned Second City. Since joining up with UBK Studios, Mitch has excelled in front of the camera as well as creating what's on the page. Combining his finance background and knowledge with filmmaking sensibilities, Mitch hopes to succeed on future projects in the role of producer/writer/actor. Hailing from Saint Paul, Minnesota, Mitch loves the Coen Brothers (note: the city of Fargo is technically in North Dakota) and loves Chicago even more. He finds the energy, talent and sheer volume of creative work in the Windy City to be energizing and inspiring. Mitch believes the power of film is in the performances, not the explosions. But if he's learned anything from comedy, never, ever look back at the car you've just exploded, cool guys don't do that. Nathan is a writer and director who has extensive experience in production and post production roles. He has worked on many short films, both narrative and documentary, that have screened at festivals around the world. He's even been known to step in front of the camera from time to time. 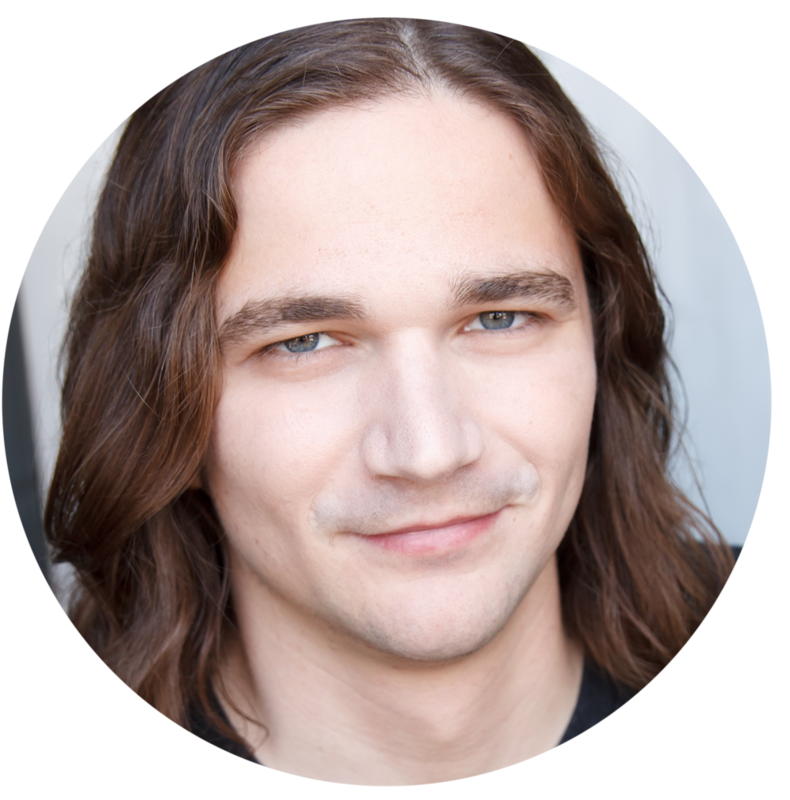 He holds a BA in Digital Cinema from DePaul University and a Master's of Filmmaking from The London Film School. While in London he worked in nearly every role behind the camera on films made by filmmakers from every corner of the globe. His thesis project was a sit-com pilot produced in association with Brian & Mitch at UBK Studios. When not working in media Nathan spends his time playing guitar and poker, watching basketball and soccer, and worrying about the health and well-being of Keith Richards. He is also a retired Champion Competitive Cornhusker. What does UBK stand for? UBK used to be an abbreviation, now it stands as a reminder to never forget where you came from and no matter how business-y the business of filmmaking gets, never stop having fun. Want to know the full story? Join us for coffee or a brew.